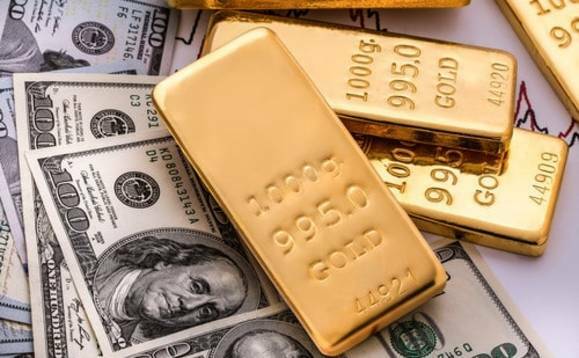 Central banks have been buying up gold at a rate not seen since World War II as recession fears rise, according to the World Gold Council (WGC). Central bank net purchases reached 651.5 metric tons in 2018, 74% higher than in the previous year when 375 tons were bought. The WGC has estimated that central banks now hold nearly 34,000 tons of gold. "Beyond just the threat of inflation, it is also remarkable that, for the first time since the end of Bretton Woods and, indeed, since the end of the Second World War, central bank buying of gold has actually increased," a note sent to clients by the firm said. "The problem with holding gold is that the long run real return is zero. However, it is also apparent ... that there are periods when the other traditional source of 'risk free' returns, in the form of Treasury bills, fail to deliver risk-free returns," Bernstein added. "These tend to be in periods of geopolitical uncertainty or after large build-up of debt." China has joined a global central bank gold rush in the last two months by increasing its official gold reserves, even though the purchase remains modest compared to the volume of the mainland's foreign exchange reserves, according to data released by the People's Bank of China on Monday. China, the world's largest foreign exchange reserve holder, has been reluctant in diversifying its US$3 trillion foreign exchanges into gold. "Thus far, China's gold reserves remain very small, standing at only 2% of its overall foreign exchange reserves," Bart Melek, head of commodity strategy at TD Securities, told specialised media outlet Kitco. "Many believe that it is trying to accumulate reserve levels similar to those held by the U.S., Germany, France and Italy, where gold's share of national forex reserves is over 60%. However, this remains uncertain."